With our small wine coolers, you can guarantee your customers the perfect wine conservation to be served at the right temperature. 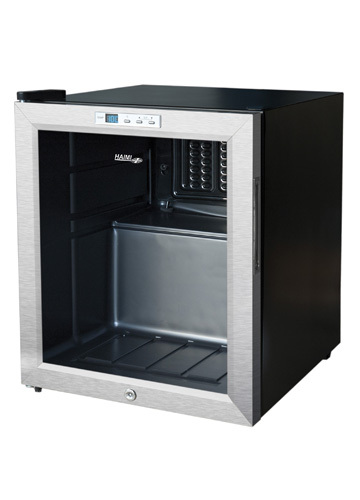 From Haimi Group, we have detected that sometimes smaller coolers are needed to store wine either, because the amount of wine to be stored is small, or because they are only used for specific situations (such as directly serving a glass in a bar), or because the available space is very limited. 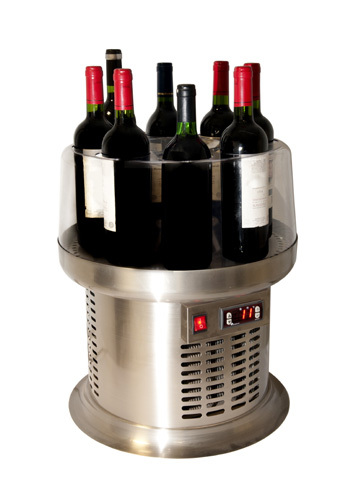 Small wine fridges are an item in demand, perfect for catering or for individuals, lovers of good wine. Wine is becoming more fashionable and in Haimi Group we know how to take care of it, how to protect it and serve it, so that you can get the most out of it. The pleasure of enjoying a good quality wine is highly appreciated. Investing in an excellent wine is always a good idea. But to be able to enjoy it is very important to protect it from light and serve it at the right temperature. Our small wine cellars of high quality hardly need maintenance. Tell us your business idea or personal needs. We have great experience and we will advise you with the sole purpose of satisfying you. Our catalog includes a wide variety of wine cabinets and coolers. Get in touch with us and we will personally assist you by offering you the best solution. Our small wine fridges have a compressor to guarantee its right functioning and to keep the right temperature, conserving all qualities and flavors of your wines.